North Korea's nuclear and ballistic missile programs remain intact and the country is working to make sure those capabilities cannot be destroyed by any military strikes, according to a confidential report by UN sanctions monitors. The report to a 15-member UN Security Council sanctions committee, seen by Reuters on Monday, comes ahead of a second planned summit between U.S. President Donald Trump and North Korean leader Kim Jong-un later this month. The pair initially met in June 2018 and Kim pledged to work toward denuclearization. While Trump has hailed "tremendous progress" in his dealings with North Korea, the UN report found that Pyongyang "is using civilian facilities, including airports, for ballistic missile assembly and testing with the goal of effectively preventing 'decapitation' strikes" on a smaller number of identified nuclear and missile assembly and manufacturing sites." 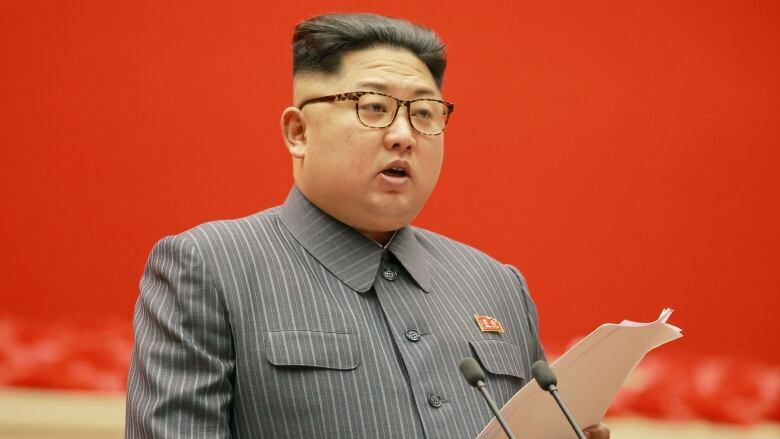 The report said it "found evidence of a consistent trend on the part of the DPRK to disperse its assembly, storage and testing locations," using the abbreviation for North Korea's official name, the Democratic People's Republic of Korea. The North Korean mission to the United Nations did not immediately respond to a request for comment on the 317-page UN report, which was submitted to Security Council members on Friday. The UN Security Council has unanimously boosted sanctions on North Korea since 2006 in a bid to choke funding for Pyongyang's nuclear and ballistic missile programs, banning exports including coal, iron, lead, textiles and seafood, and capping imports of crude oil and refined petroleum products. "The country continues to defy Security Council resolutions through a massive increase in illegal ship-to-ship transfers of petroleum products and coal," the sanctions monitors found. "These violations render the latest UN sanctions ineffective." The monitors said they had evidence of one unprecedented prohibited petroleum product transfer of more than 57,600 barrels, worth more than $5.7 million US. They said the case highlighted "new sanctions evasion techniques that defeated the due diligence efforts of the region's leading commodity trader, as well as the U.S. and Singaporean banks that facilitated the fuel payments and a leading U.K. insurer that provided protection and indemnity cover to one of the vessels involved." The report accused North Korea of also violating a UN arms embargo and attempting "to sell a wide range of military equipment to armed groups and governments in the Middle East and Africa," as well as small arms and light weapons to Libya, Sudan and the Houthi rebels in Yemen. The UN monitors also noted "a trend in the DPRK's evasion of financial sanctions using cyber attacks to illegally force the transfer of funds from financial institutions and cryptocurrency exchanges."